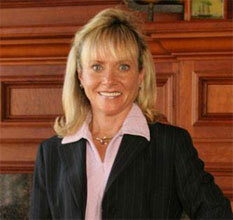 Mary Heon is time and again the #1 Executive Sales Manager and Relocation Specialist in the North County Del Mar office. She is also the recipient of the Society of Excellence Awards which ranks her among the Top Five of more than 900 Coldwell Banker sales associates in San Diego County. As a member of the Society of Excellence, Mary is also among the Top 1% of more than 113,800 sales associates worldwide. “Mary’s dedication to her clients is unmatched. Her knowledge of the real estate market throughout the Del Mar and San Diego County is outstanding and her enthusiasm is contagious,” states Coldwell Banker’s District Manager. Mary’s knowledge of San Diego and the Luxury Home Market is remarkable. Her ability to accomplish success for each and every Seller and Buyer is a testament to her hard work, integrity, and dedication to the real estate industry and to each and every one of her clients.